The mission of Heavenly Helpers Assistance, LLC is to provide unequivocal, excellent private non-medical home care health and customer service needs to all who face limited mobility, and desire a full productive living style; without restrictions. We are a private non-medical home care agency; which utilizes Companion Sitters and CNA's to assist with clientele. The following is some services we provide: companionship, meal preparation and monitoring, laundry, running errands, home maintenance, housekeeping services, recreational activities, relief, Alzheimer's care, hospice care, facility care, etc. From our conception, we have never compromised our commitment to being a leader in client dedication, integrity and excellence in home care. 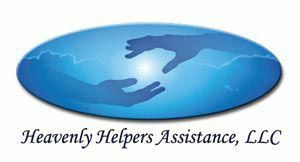 Heavenly Helpers Assistance, LLC. provides services to the Greater Atlanta, North Georgia, Paulding, Douglas, Fulton, Dekalb, Gwinnett, Cobb, Henry, Carroll, and Clayton area residents. Client care is the #1 priority. By customizing your non-medical service needs, a schedule is formulated to enhance a comfortable, healthy lifestyle. We are dedicated to providing an affordable alternative, which allows clients to remain in their own homes. You and your loved ones can have peace of mind knowing that we are providing caregivers with experience and personality to ensure stability and personal attention while receiving the highest quality of care.